With no recent publications discussing Prometheus at length, this book provides a much-needed introduction to the Promethean myth of this rebellious god who defied Zeus to steal fire for mankind. Seeking to locate the nature of this compelling tale’s continuing relevance throughout history, Carol Dougherty traces a history of the myth of Prometheus from its origins in ancient Greece, to its resurgence in the works of the Romantic era and beyond. Offering a comparative approach that includes visual material and film, the book reveals a Prometheus who was a rebel against Zeus’ tyranny to Aeschylus, a defender of political and artistic integrity to Percy Bysshe Shelley, and a symbol of technological innovation during the industrial revolution; his resilience and adaptability illuminating his power and importance in Western culture. 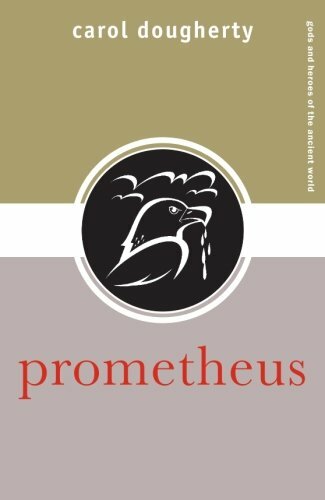 Prometheus is an essential introduction to the Promethean myth for all readers of classics, the arts and literature alike.